Dieses Buch ist nur in der englischsprachigen Fassung erhältlich. Wenn Sie lieber ein deutschsprachiges Buch zum Thema lesen möchten, schauen Sie sich bitte Commodore - Aufstieg und Fall eines Computerriesen an. 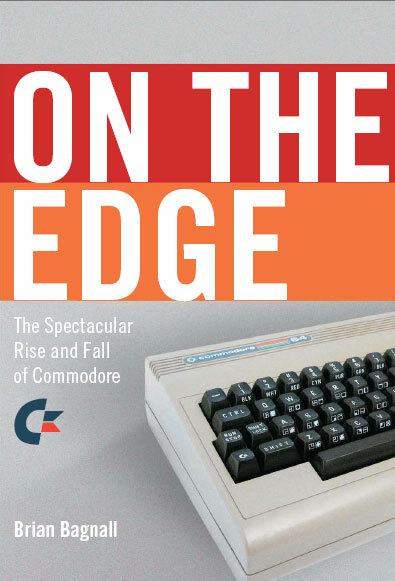 The Spectacular Rise and Fall of Commodore tells the story of Commodore through first-hand accounts by the actual Commodore engineers and managers who made the company. From their entry into computers in 1976 until their demise in 1994, the Commodore years were always exciting. Commodore had astounding success with their computers, including the PET, the VIC-20, the Commodore 64 and the incredible Amiga computers. Commodore was one of the only companies with the ability to make their own silicon, and you could see the results in their computers. They had more creativity, more color, and more character than either Apple or IBM could deliver. It also resulted in cheaper computers. The Commodore 64 cut a path of destruction through the competition, knocking Sinclair, Tandy, Texas Instruments, and Atari out of the computer business and badly hurting Apple. Although other companies received more press, Commodore sold more computers. Siehe auch: Freax The Art Album, Wir waren Space Invaders - Geschichten vom Computerspielen, Commodore - Aufstieg und Fall eines Computerriesen, Die Commodore-Story, Der Untergang von Commodore, Der Amiga - Die Geschichte einer Computerlegende, Freax Vol. 1 und Spielkonsolen und Heimcomputer 1972-2005.